In the last six months there have been five deaths of rough sleepers, all well known to the Thames Reach outreach workers seeking to help them build a life away from the street, each death a crushing blow. They include a Polish rough sleeper found dead on a dirty mattress along a canal tow-path. Another, a man in his early forties who discharged himself from hospital where he was being treated for pneumonia. Heroin dependency drove him back onto the street and his body was discovered at his regular begging pitch outside a south London train station. This cull of blighted lives; it can’t go on. All five were long-term rough sleepers, or ‘entrenched’ as we call them nowadays. Entrench: ‘To construct a defensive position by digging a trench’, a dehumanizing word which subliminally implies that the person has elected to sleep rough, obdurately burrowing away in order to avoid the reality of the world around them. It meshes neatly with a suite of words or phrases that places responsibility unequivocally on the rough sleeper themselves for their plight. ‘Failure to engage’ is one such stable-mate. This is the common verdict where efforts are made by different professionals - mental health specialists, drug and alcohol workers, housing officers - but the person self-destructively undermines the best laid plans. Then there is the familiar ‘choosing to sleep rough’ used recently by Conservative Minister Baroness Williams as a part explanation as to why the number of people sleeping rough continues to rise. This transmutes smoothly into the phrase ‘lifestyle choice’ which rests on the assumption that there are certain attractions associated with rough sleeping such as being able to avoid the responsibility of paying bills and having to get a job. In my experience rough sleeping is, for the vast majority of people, a joyless, brutal experience. Yet, if we accept that few people given a decent alternative would choose to sleep rough, there is an inescapable paradox to wrestle with. All five individuals who died were offered assistance to move from the street as well as help to tackle substance misuse problems. They were not sleeping rough consistently month after month but on occasions entered emergency accommodation, treatment services and hospital. These people were not nonchalantly putting their health and, ultimately, lives at risk but instead were engaged in grim struggles to tackle deep-seated problems where progress is never going to be linear but inevitably messy, complicated and lengthy. 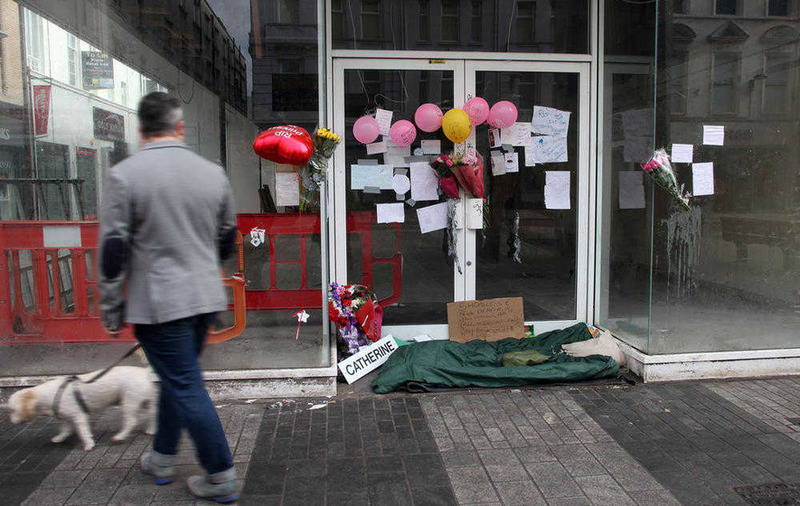 In London we seem unaffected by the high number of deaths of rough sleepers. Whether this is because of limited public awareness or the opposite - we are so accustomed to hearing about such deaths that we’ve become de-sensitized - I’m not sure. Either way, our reaction seems unfeeling in contrast to the response of the city of Belfast which has also had a spate of deaths of rough sleepers and is in open mourning. When recently I undertook to do a radio interview on the subject of the Belfast deaths, I was impressed that the focus was on seeking to understand why they occurred and how this tide of deaths could be turned. There were no concessions to accepting that a high level of mortality amongst rough sleepers is unavoidable; no tired clichés of the type that some people are just not prepared to accept help. There are other honourable exceptions to the standard response of wearied inevitability in the face of another life lost. In December 2010 a man was found dead from pneumonia in a sheltered alleyway in Lambeth, south London where he had been sleeping rough for some months. Impressively, and unusually, the local authority launched a Serious Case Review to see what lessons could be learnt from the death of ‘Mr A’ that might prevent similar tragedies occurring. A wholly illuminating report published a few months later outlined how the investigating panel tracked back to explore the circumstances that led to Mr A, a man with a diagnosis of schizophrenia, sleeping rough. It discovered that he had formerly lived in self-contained accommodation but that eviction proceedings had been set in train in relation to rent arrears without any efforts being made to find him alternative housing. Following eviction, Mr A commenced sleeping rough. The unequivocal conclusion of the panel was that the eviction represented ‘a failure to understand Mr A’s underlying condition and basic needs’. The panel was also critical of the number of occasions when Mr A had been discharged from statutory mental health services because of his ‘non-engagement’. I hope that there will be more occasions when local authorities will feel it incumbent to put under the spotlight the death of a rough sleeper through a Serious Case Review investigation. And if a groundswell of revulsion about the number of deaths of people sleeping rough were to arise, perhaps we would be more determined to challenge the actions that are keeping people entrapped on the street such as the continuing propensity of some of the public to give money to people begging, even though the evidence built up over many years is that the money is largely being spent on hard drugs - crack cocaine and heroin. But I fear that on this count I am deluding myself. I was given a salutary reminder of how far we have still to go when accompanying a colleague on an outreach shift in East London recently. That night he was urgently seeking Tina, a rough sleeper with a crack cocaine problem. Eventually we came across her - sallow skin, eyes dulled and a sore at the corner of her mouth. We reminded her of her appointment in the morning at the local drop-in, after which she could be taken to accommodation. Later we spotted her sitting cross-legged outside a late-night food store, benefiting from the generosity of the local hipsters coming out of the clubs. And I remembered the words of a hard-bitten colleague who told me that to maximize your begging return you should be female, have a dog with you and be close to death. And I sardonically reflected that, whilst Tina didn’t have a dog with her that night, two out of three ain’t bad.